Searching for a way to carefully control illumination of a project, I discovered “Blinkt!” by Pimoroni. I was hoping for something that would easily connect to a Raspberry Pi 3 with a minimum of fuss. The Blinkt! connects straight to the GPIO pins on the Raspberry Pi 3, and can also work on an extension board or off a ribbon cable. A warning: many cases have ‘ribbing’ along the side that will interfere with mounting the Blinkt! directly on the Pi – NONE of my cases were compatible without the ribbon cable. Pimoroni provides an easy to use Python software library, which worked directly as advertised on Rasbian. The examples were easy to modify and get started. For my use-case, I wanted to create a flashlight with hue control. 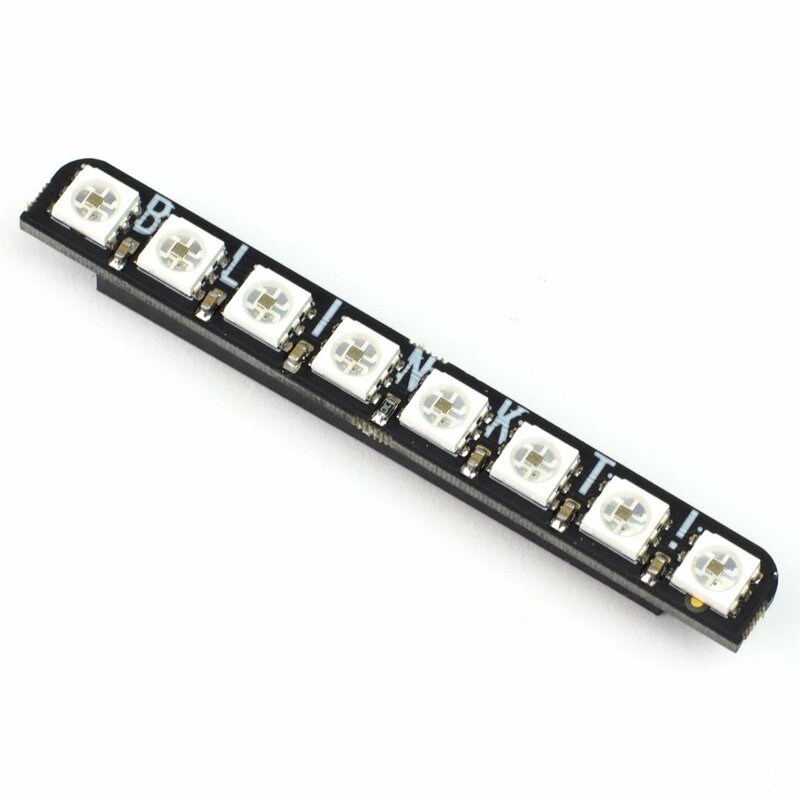 While these LEDs are very bright on there own, they don’t compare to a higher power utility light or flash light – understandable as they are being powered off the Pi. The array was surprisingly bright, but only just barely able to perform the functions I was hoping. One can find cheaper LEDs and ‘bigger setups’, but the simplicity and price are hard to beat for someone that’s searching for an item that’s get up and go. For this project, the $8 spent on this board was well worth it. Back when I started college (2001), I remember a world where tech was, well, ‘fun’. I was a die-hard free software guy willing to put up with far-to-much in the interests of ‘tweaking’ my computer. Running Linux was like drive a custom made hot-rod. I knew every piece of the system and was happy to tweak it all day long. I followed slashdot, freshment, linux games, and laughed out loud while reading userfriendly. Perhaps today I’m simply waxing nostalgic, but damn if I don’t miss those days. I’m not sure where the old ‘hacker’ ethos has gone too, but now that I’ve had some time to settle into a professional career, and gain some semblance of free-time… Well, damned if I didn’t look and it just feels missing. I noticed over the years as some sites closed their doors (linuxgames.com) or renamed and then became read-only (freshmeat.net). Out of habit, I’ve still kept tabs on slashdot. Over the years though, it’s gone from featuring front-page articles about postgresql and Ipv6 on FreeBSD, to a front-page dominated by highly political click-bait trash. This site used to have a fairly amazing google page-rank for multiple subjects, at least before I let it get snatched by a domain crasher and go fallow for years. I hope there are others out there that enjoy hacking in some community somewhere – I’m looking. I’ve been meaning to bring back this blog and articles for a while. The new server is online, but I haven’t yet migrated the old content. More to come.